The Waikato SPCA has been upgrading their Puppy Facilities to create an off-leash area. The goal is to give the puppies a space to grow their personalities and meet their new families. Acorn ITM has been working with them through the whole project. We will continue to update you as we get further along! Check out this massive catch at the Annual Raglan Sport Fishing Competition! We have been the major sponsors of this competition for two years running and will be continuing this in 2019. Keep an eye out for prizes sponsored by Acorn, for the Top Male Angler and Top Boat! The Tamahere Reserve has been a much-loved community project for years. Leo and his team of volunteers have worked hard to make the reserve a place to be enjoyed by the community. Acorn has been involved over the years and has donated bundles of timber to build the required boardwalks and bridges to make the area easier to walk through. Xtreme Zero Waste is a waste sorting plant in Ralgan. At approximately 75% diversion from landfill, they are turning Raglan’s waste into resources and moving forward to zero waste. Acorn worked with Rick and his team to donate building supplies for the renovation of their site. Acorn worked closely with the Raglan Mountain Biking Club to donate materials for the construction of the new mountain bike trail. After months of groundwork and building, the track is now open to the public. Every year, the Waikato ITMs attend the NZ Certified Builders and the Registered Master Builders Golf Days. We host a BBQ and a few competitions on our hole to make sure the builders get a good day out! As well as the annual golf days, Acorn ITM is one of the sponsors of the House of the Year competition. Acorn ITM has been involved with the Hamilton Pistol club for a couple of years now. The club is slowly renovating the different shooting ranges to make sure they are of the highest safety rating. 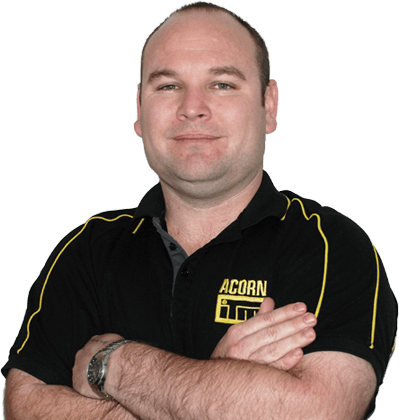 In 2017 Acorn donated hundreds of meters of retaining wall to build their two new 50m ranges. In 2017 we were approached by Silverdale School to assist in their new school project. The school only had one playground previously, that was shared by all ages of students. Building their new playground meant that the school's senior students could challenge themselves in new ways. Acorn ITM donated the timber to get the ball rolling on this project and the kids are loving it!